Laughing Gas, sometimes called ‘laughing gas’ has been used in cosmetic dental offices for over a century, because, in many ways, it is an optimal sedative. It begins to work rapidly, but then wears off as soon as the patient stops inhaling it. Breathing Laughing Gas helps with creating warm tingling sensations and a feeling of euphoria. Oral sedatives take longer to work than nitrous but produce a calmer state for many nervous dental patients. Triazolam and diazepam are common oral sedatives used in dentistry. These sedative medications are routinely prescribed by physicians for anxiety, insomnia, and muscle spasms. 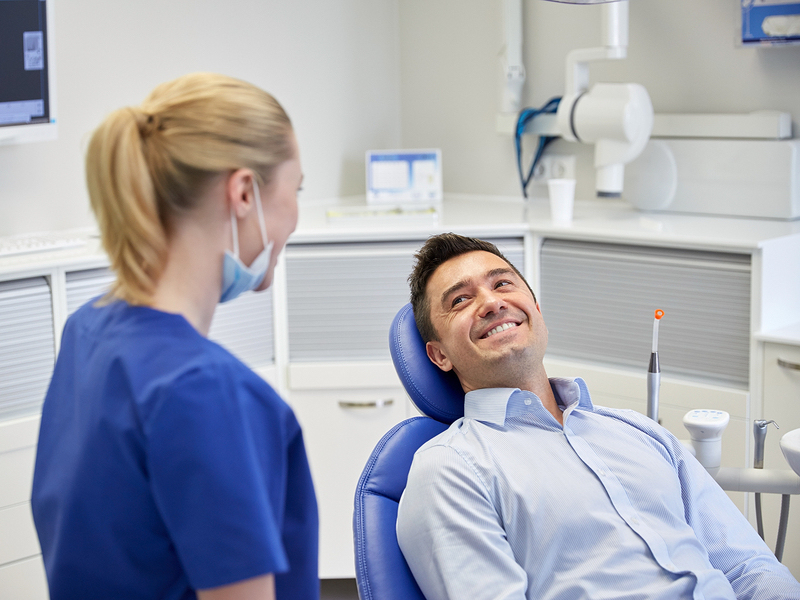 Oral sedation is a good choice for anxious patients who require a lengthy dental procedure. After the dental visit, however, it takes a while for the medication to wear off. It’s vital that a conscious sedation patient not drive home after undergoing oral sedation. Like nitrous, intra-venous sedation dentistry in Murray starts working immediately as the sedative enters the bloodstream. IV sedation usually produces the deepest state of relaxation. IV patients can dream away the complete procedure and wake up feeling relaxed. All three of these methods of sedation dentistry in Murray are completely safe while being implemented by a medical professional. Furthermore, everyone on our team has been trained on the proper implementation of sedation to help patients feel at ease during their treatment. If you are curious about any of our dental procedures, our team would be happy to provide you with more information. We offer services such as dental implants, Six Month Smiles, and dental veneers.